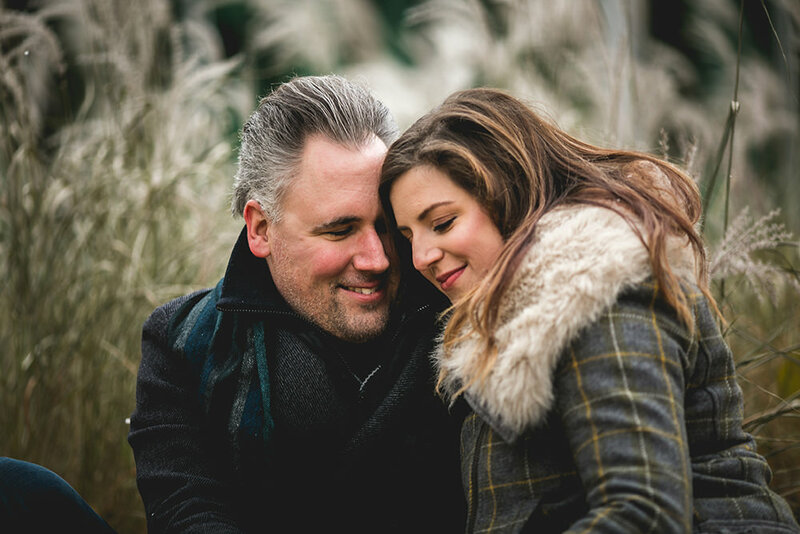 We are reliving this amazing engagement session, at Pinawa Dam, from last year. This is such a fantastic location. It all came together just perfect. Cheryl was the perfect photographer for these two beautiful souls! 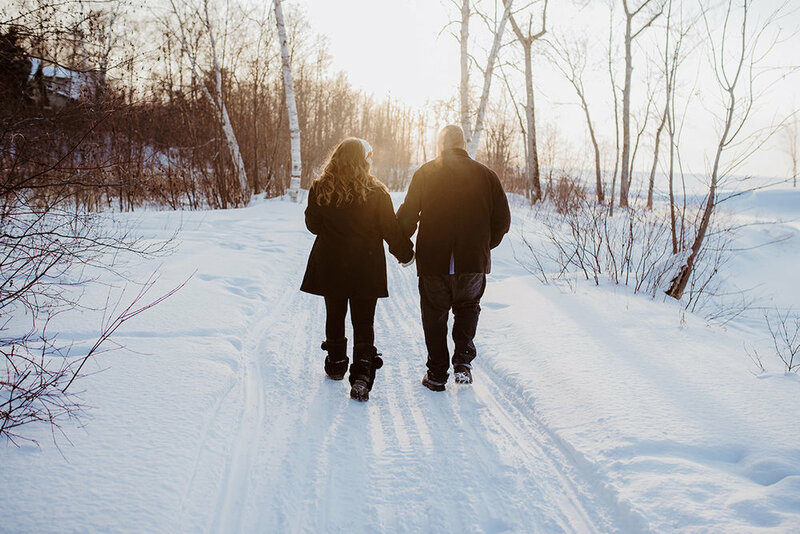 A weekend at the cabin, wandering through the snow, eating homemade soup, and playing board games made for a perfect engagement photo session. How could anyone resist? 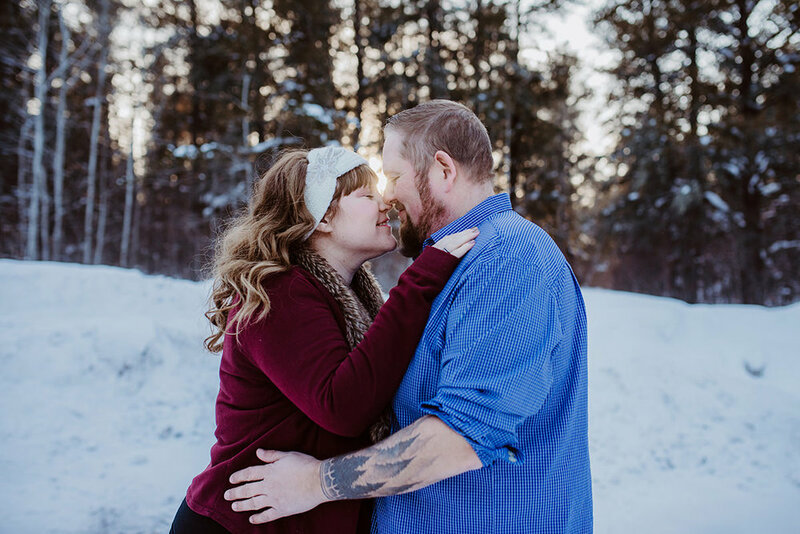 Candace and Delvin invited me up for a weekend at their cabin to hang out, and photograph their engagement session, and I mean it when I say I never wanted to leave. They have their own slice of paradise. Candace and Delvin wanted their session to really represent who they are, including the Jets and the Bombers, being outdoors, and of course, their adorable Pomsky puppy, Leonard. 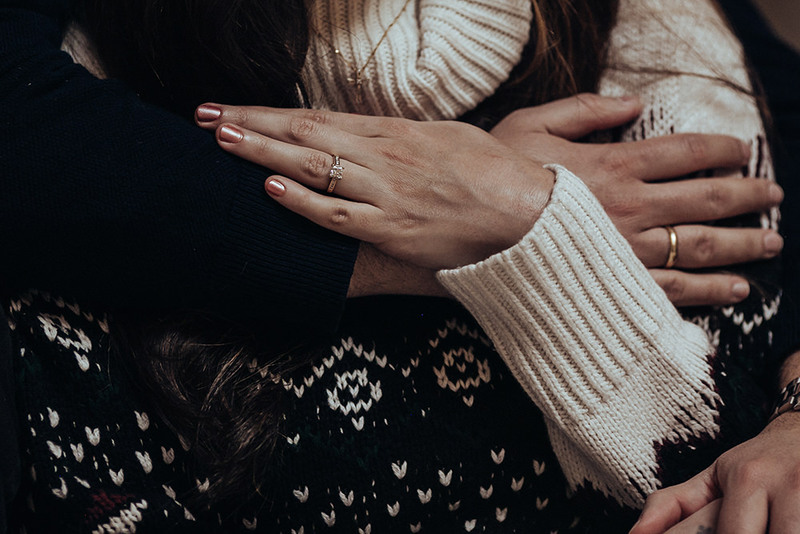 I was greeted with homemade split pea soup that Candace had made upon arriving for the weekend, and we all took a moment to enjoy the warmth before heading out into the frigid temperature. We wandered to and from their favourite places. 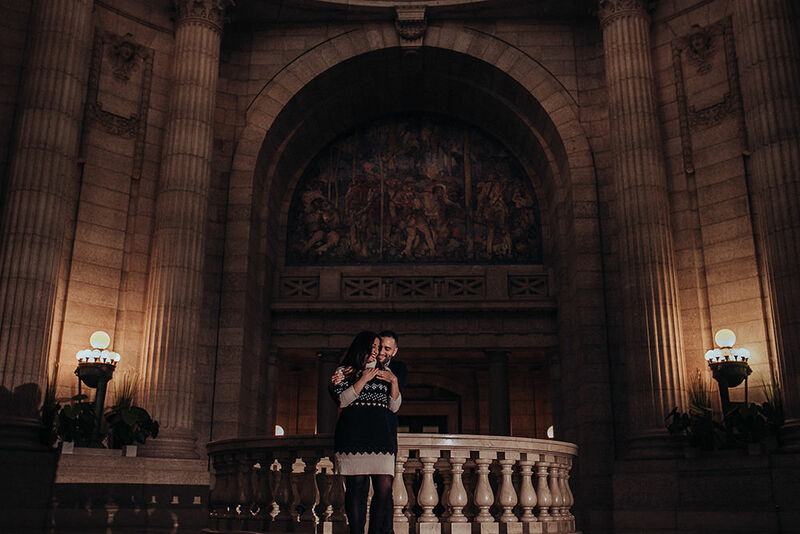 Around their gorgeous property, Lake Winnipeg, and a gorgeous hidden snowy trail. When we arrived back at the end of the night, freezing cold and ready for a glass of wine and some board games, we all knew we had some amazing photos that truly represented who they are. 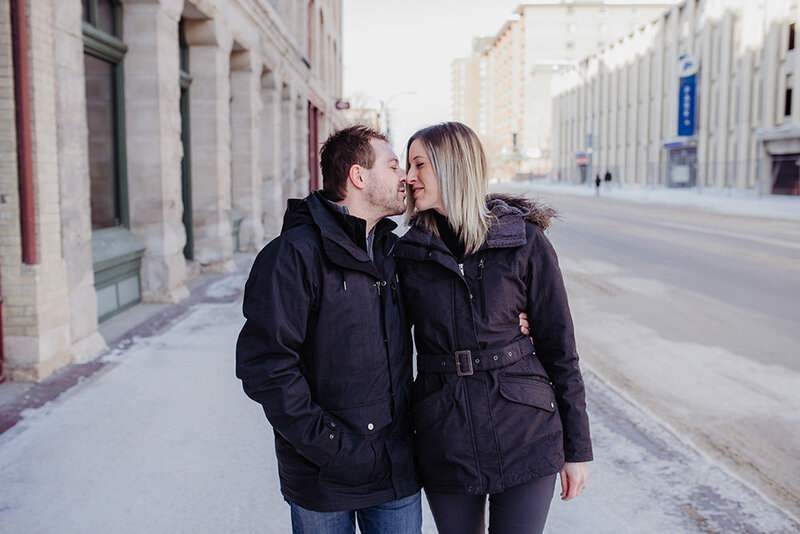 I love Downtown Winnipeg for engagement sessions. 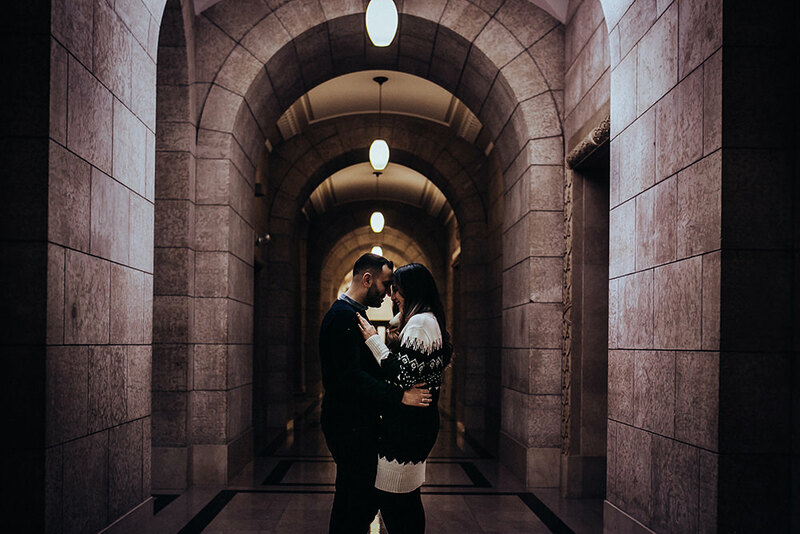 When Ingrid and Trevor told me they wanted downtown in the exchange for a different take on their engagement session, I was so happy. 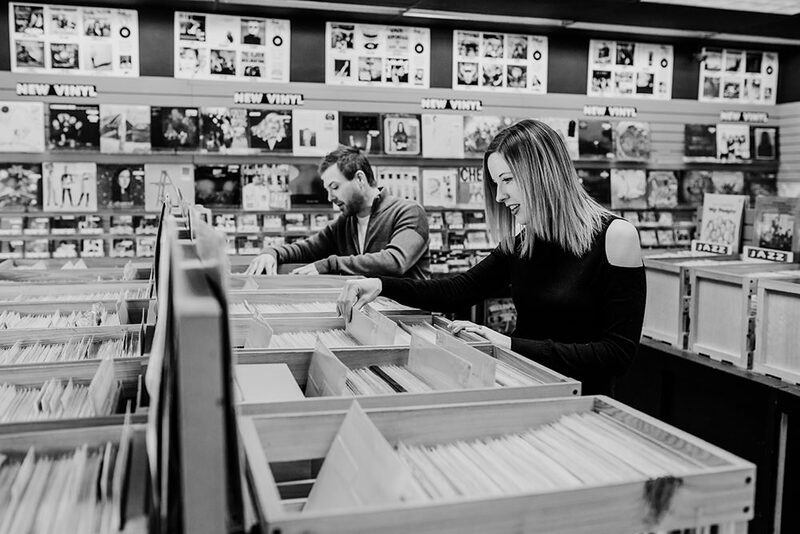 We started our day at, Into The Music, in Osborne Village. It was easy going - taking some photos, talking about their cupcake tasting they had that morning, and shopping for records. When we made it to the exchange, the light was so perfect, and we had such an amazing time piggybacking down the streets and talking about our dogs. The photos tell the whole story of just how awesome these two are together. I can't wait to try the cupcakes they were telling me about when their wedding day comes, but most of all I am so excited for the awesome images we get to create on their day. 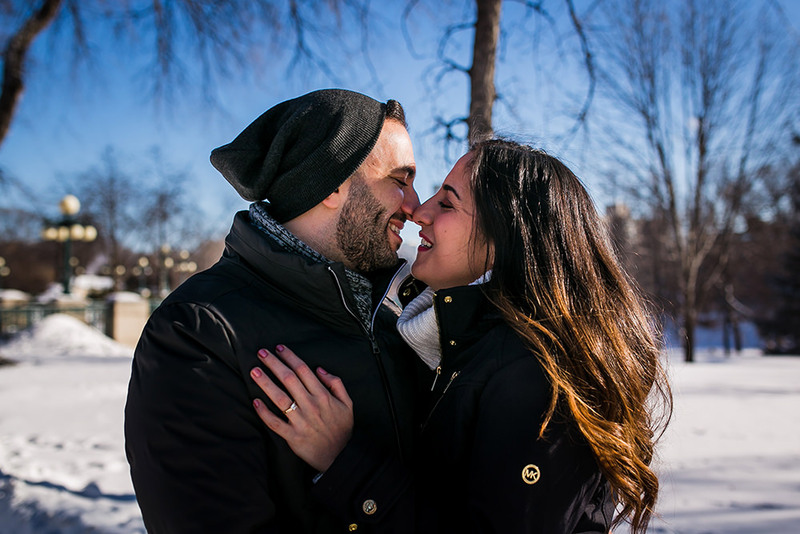 Monica & Mena probably chose one of the coldest days for their engagement session. After a trip to South Africa I literally came back from +38 to -38 degrees. But I was so excited to see these guys! 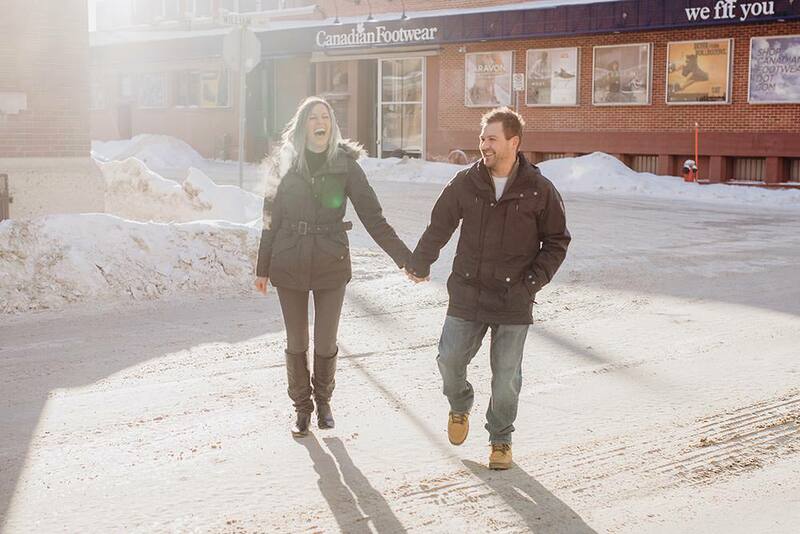 Braving the cold temperatures we managed to capture some beautiful pictures. When you’re in love - nothing else matters , just the fact that you have each other is enough. Thank you so much for choosing me to be a part of your big day - I cannot wait for your wedding in June ! Ashley & Tymon are getting married next year and what a perfect Fall day we chose for their engagement pictures. We even got a light dusting of snow and it was just Perfect! 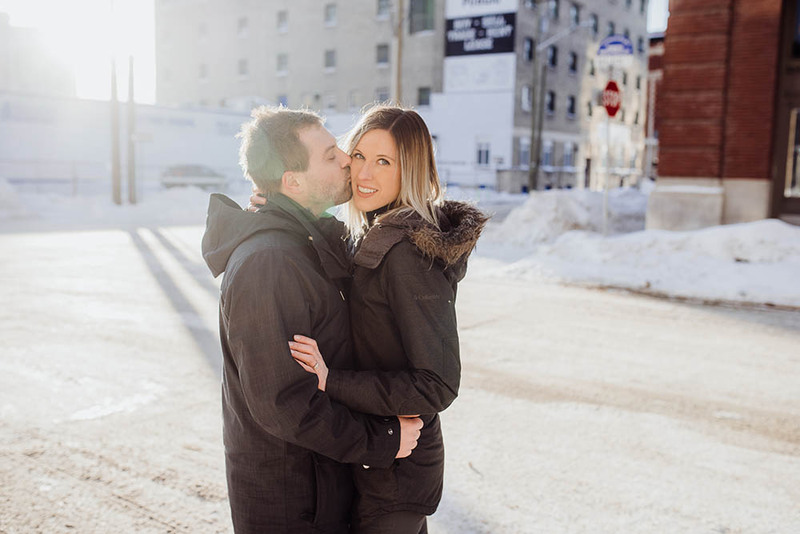 Almost as Perfect as these two, when I asked them on how they met - Ashley started off by saying she had two conditions when it came to dating someone - they could never be working together or he could not be in the military — mmmm…. well Tymon did both and yet she fell head over heels in love with him. I have to give him point though, after a date they went on he knew he had a week to seal the deal as Ashley was off to Europe in a coupe of days. Well while she was in Europe - Tymon tried racking her down and finding out where she was staying - all of this to send her a birthday present while she was in Europe. That’s when Ashley knew - this guy will do absolutely anything for her. 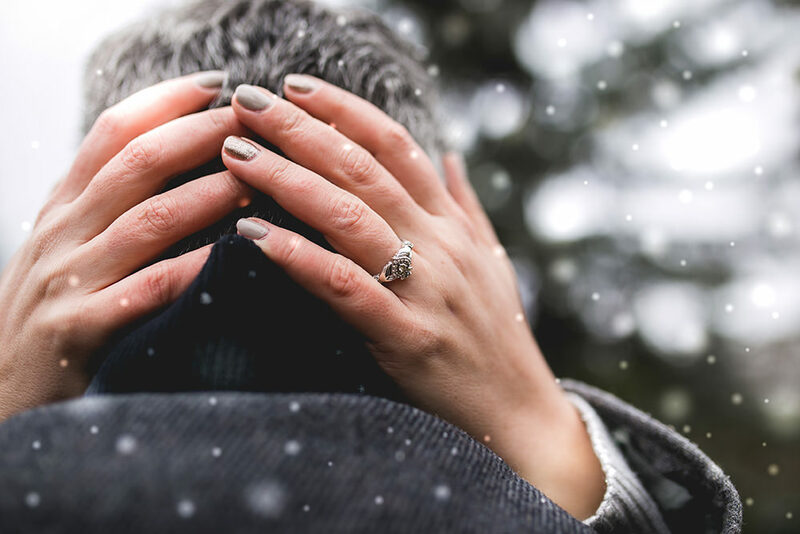 Looking forward to your wedding next year and capturing some new memories for you guys!